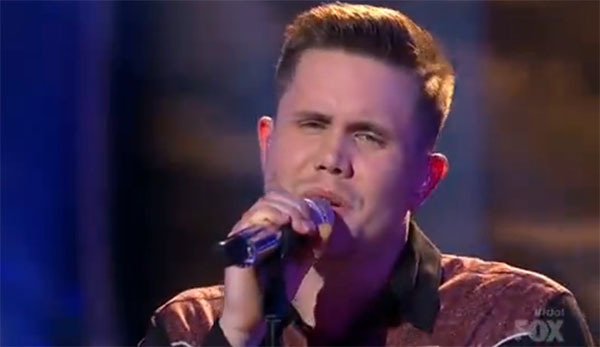 Trent Harmon sings ‘Tennessee Whiskey’ as his hometown dedication song on American Idol Top 3 Live Shows, Thursday, March 31, 2016. “That’s really smart. Your voice is so unique and so special. I thought that was a fantastic performance,” said Harry Connick Jr.
“That was a bulls eye, fantastic performance,” said Keith Urban. “It felt so easy-breezy for you. You kind of make it to the end. You keep pushing and really getting in your zone,” said Jennifer Lopez.